The International Engineering Fair is held at the Brno Exhibition Center on 1 – 5 October 2018. This year, the symbolic partner country is Slovakia. On the occasion of the centennial anniversary of the establishment of the Czechoslovak Republic, both countries can recall the common industrial history and the label MADE IN CZECHOSLOVAKIA. 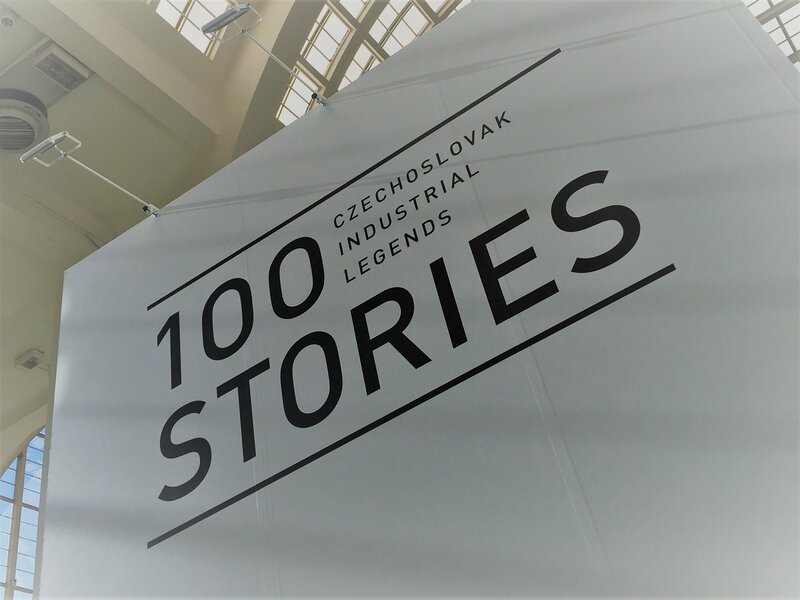 This year's fair includes the one-of-a-kind exhibition 100RIES, whose partners are the CZECHOSLOVAK GROUP and SIEMENS, and which aims to tell 100 stories of the Czechoslovak industry through its breakthrough products. 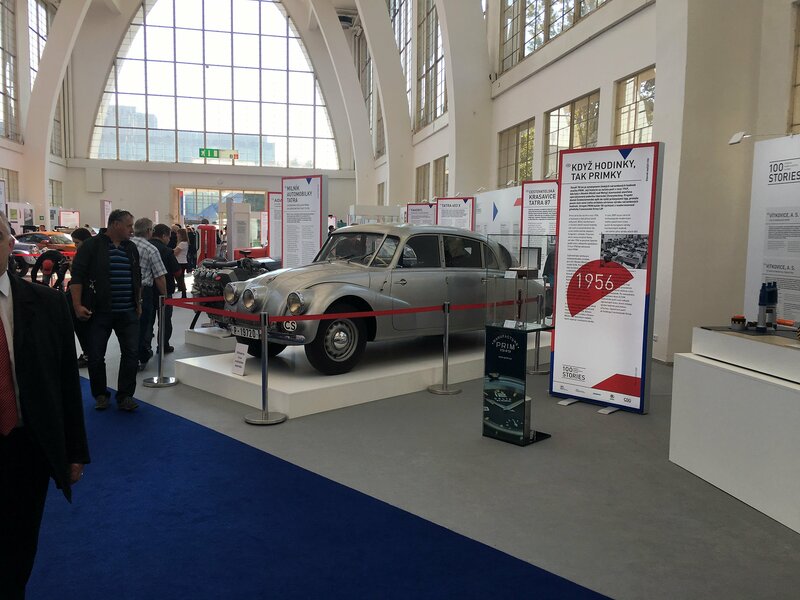 The holding CSG, which builds upon the legacy of the Czechoslovak industry in the fields of civil and defense production, shows the visitors of the exhibition famous products of its companies. 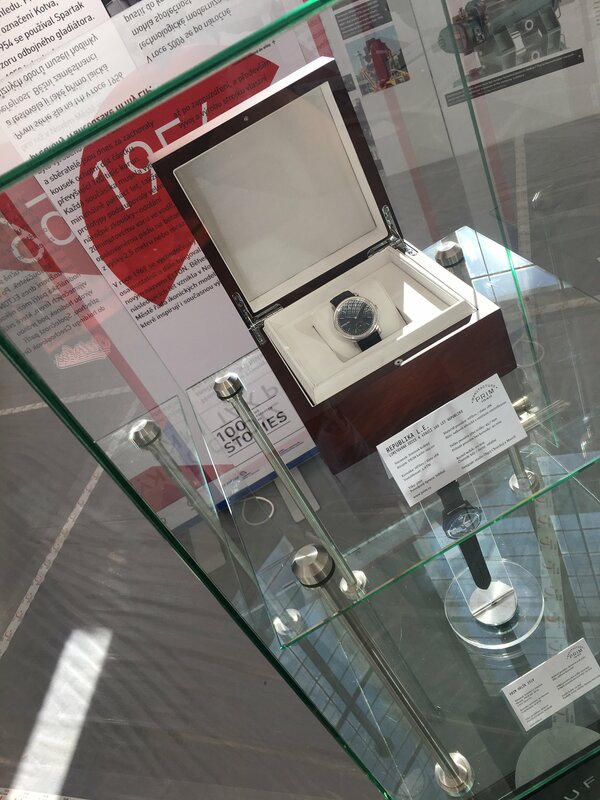 For example, notable milestones of the TATRA carmaker are displayed, as well as legendary PRIM watches. Other notable exhibits include KOVOSVIT MAS's revolutionary milling machine, as well as famous products by ZETOR, ŠKODA, AERO, ZPS etc. 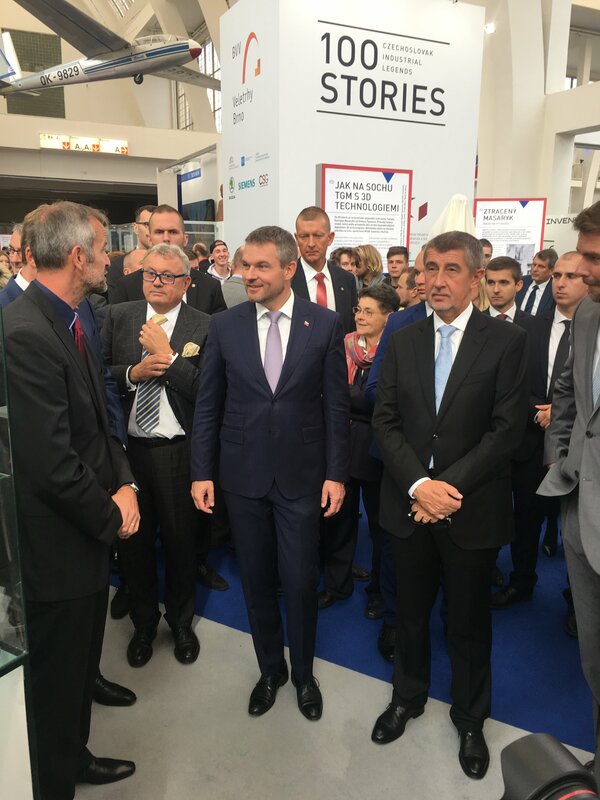 The opening ceremony of the 100RIES exhibition took place on Monday 1 October and was attended by Czech Prime Minister Andrej Babiš and Slovak Prime Minister Peter Pellegrini. 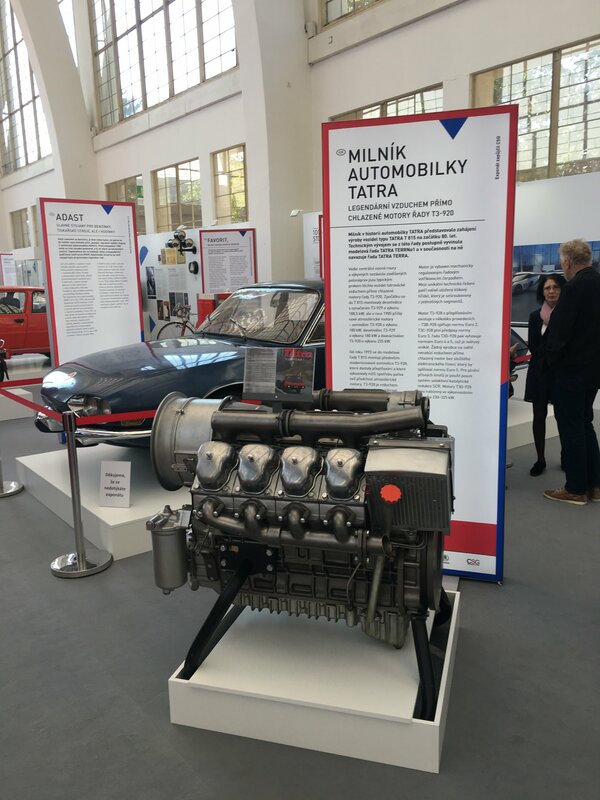 Both prime ministers took a close look at the exhibits mapping out the history of major companies of the CSG holding and were particularly interested in the TATRA vehicles and PRIM watches. They also had the opportunity to see the brand-new original PRIM watch with a fitting name REPUBLIKA. "We consider the International Engineering Fair in Brno one of the most important events in the field of engineering industry, so we have decided to become a partner of the 100RIES exhibition, which is part of it. The exhibition gives us a unique opportunity to show our products to the lay and professional public in a slightly different light. We do not merely produce technologically advanced and competitive products, but we also continue the legacy of Czechoslovak industrial production and promote the good name of Czech and Czechoslovak products all around the world," says Lukáš Novotný, head of marketing of the CSG holding. 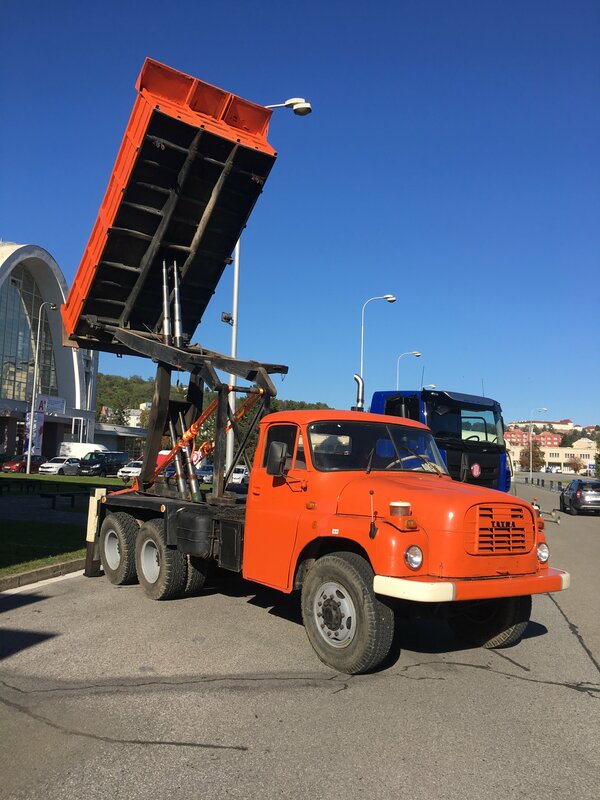 "It's great to see the legendary orange Tatra T 148 standing outside the pavilion, capturing the interest of children, as well as their grandfathers. There are not many brands like TATRA or PRIM, and we appreciate the fact that we can carry on with their legacy while further expanding production and development of new products." 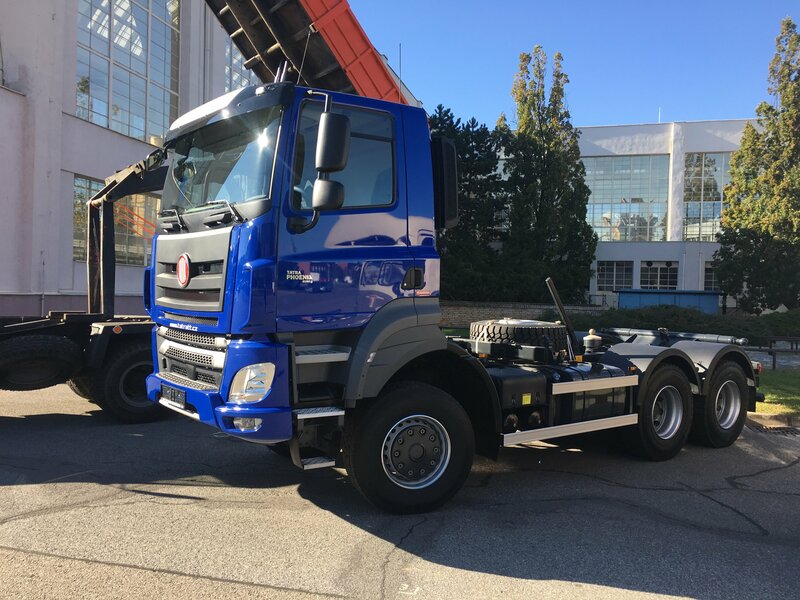 The International Engineering Fair is the most important industrial fair in Central Europe with more than 1,600 exhibitors and 80,000 visitors each year. 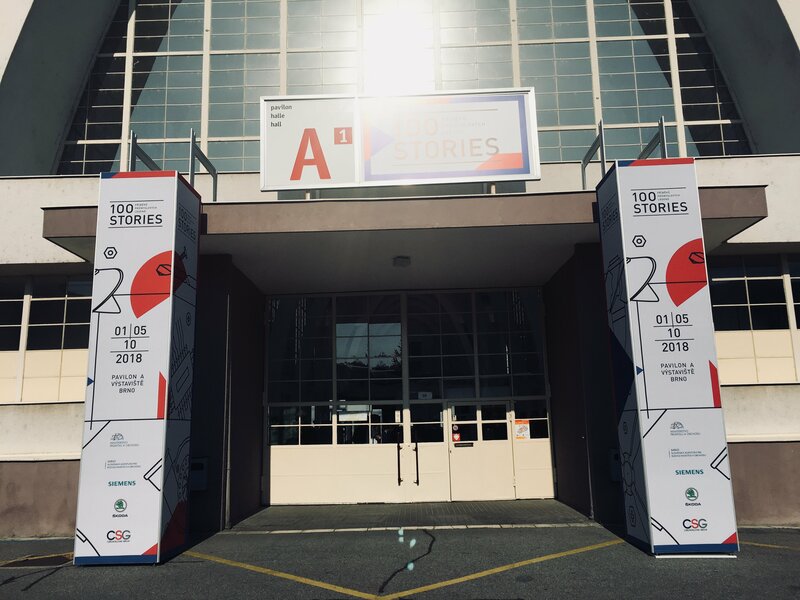 The exhibition of Slovak companies is located in the central part of pavilion A1 of the Brno Exhibition Center with the exhibition 100RIES connected to it in the right wing of the pavilion. About CZECHOSLOVAK GROUP CZECHOSLOVAK GROUP is a holding that builds upon the tradition of Czechoslovak industry, supporting and further developing the activities of traditional Czech and Slovak companies in the field of civil and defense industrial production. Its portfolio includes the production and sale of engineering products for the automotive, rail, aircraft and watchmaking industries, as well as the production of special vehicles, off-road trucks, weapons and weapon systems or ammunition. The group puts a strong emphasis on the quality of its products and services and on its export activities. The products of the companies of the holding can be found on all continents and the number of its customers is growing steadily. CZECHOSLOVAK GROUP's holding companies employ more than 8,000 people, and in the year 2017 they generated revenues worth CZK 25 billion. Press Service of the CZECHOSLOVAK GROUP a.s. and TATRA TRUCKS a.s.